Batman in the hands of Hollywood has always been more about action than anything else. In any of the films or games, Batman has been a warrior, Bringing justice to super criminals through judicious application of fisticuffs. When I read the comics as a kid though, it wasn't this side of the Dark Knight that stood out to me. Instead, I've always remembered Batman as the world's greatest detective. That persona has been sorely lacking in almost every portrayal of the character outside of the comics (and even those have strayed more than a little from time to time). My hope with the Telltale series was to finally see that part of Batman realized. One of the biggest problems facing anyone hoping to write for such a well known character as Batman is where to start. When just about everyone knows the basics of the origin story and a few of the villains, finding the right place to start weaving a more intricate story is tricky. The Arkham series didn't have to worry about this so much, largely because their batman was more about the fights and gadgets than the interpersonal dealings of Bruce Wayne and Batman and planted us right in the middle of his career. 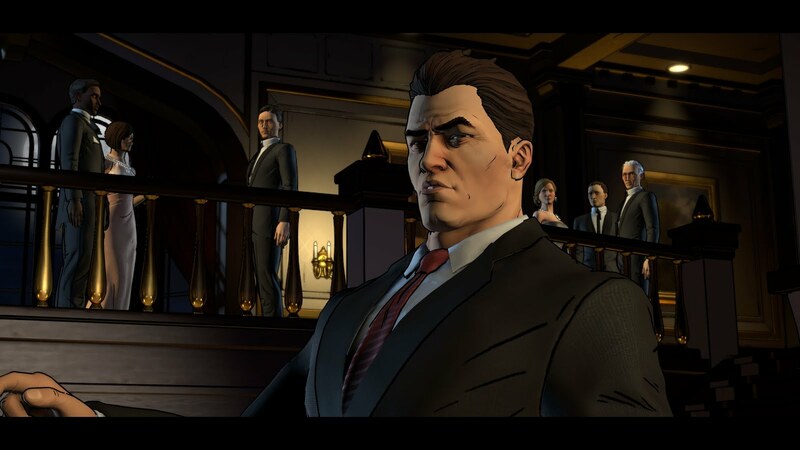 Telltale has placed their story right at the beginning of the mythos, with Bruce as a fledgling Batman. Gordon is still a lieutenant, Harvey Dent is still the best hope for Gotham and much of Gotham is still run by mob boss Falcone. It's a smart place to start, as it gives the writers the ability to move in any direction they choose, but with so many characters arriving in the first episode, I wonder how they will pull off the proper pacing for each of them. At the moment, things seem to be moving perhaps a bit too quickly. 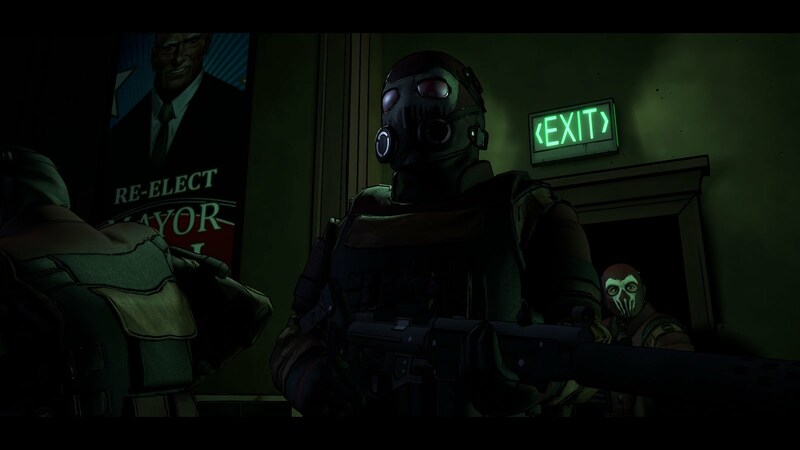 Characters like Two-Face and Cat Woman deserve to have a bit of focus, especially if the game is going to delve into their motivations at all. The voice acting is excellent throughout the episode. When it comes to Batman, I don't think it can ever get any better than Kevin Conroy but Troy Baker does a fine job with the part. This is a game that focuses as much on the life of Bruce Wayne as it does Batman, and the depth and range that Baker brings to the part mesh perfectly with that vision. Travis Willingham plays an optimistic, charming and somewhat naïve Harvey Dent and Murphy Guyer's Gordon is the perfect mix of grit and compassion. The first episode took about 3 hours to complete in total, not terribly long, just about on par with other Telltale games. When you consider the episodic nature of the game, 3 hours per episode leaves you with about 15 hours of total play throughout the five episodes in the season. The story that begins in those three hours is already a dense web of secrets and back room intrigue. Trying to untangle the whole thing this early is impossible, and I really appreciate the depth the writers went to to get the feeling of the story just right. As much as I enjoyed the story, I did find a few issues that stood out to me. 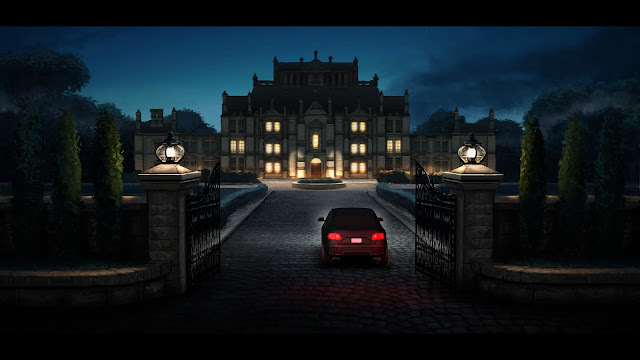 There are a few instances where background pieces that I would expect to be rendered were instead just flat matte paintings, They are distracting and give the game a somewhat rushed feel in those moments. Aside from that there are places where the subtitles don't show up at all and a few characters with clipping issues here and there. None of these issues hold a candle to my personal peeve within any batman show or movie. It is inevitable that at some point in any book, comic, graphic novel, game or movie, Bruce will have some sort of flashback, usually to his parent's death. It is an overused device that violently reminds us "LOOK AT ALL THE EMOTIONAL TRAUMA BRUCE HAS!" I really hoped that the team at Telltale, of all people, would realize that it serves little narrative purpose for most of the audience. In general, I think all of Batman's stories spend too much time reminding us that his parents are dead. I get that the writers probably wanted to have a moment to show Bruce's inner turmoil and grief, but at this point you can't even begin to try it without it feeling like you're beating the players over the head. Overall, I think Telltale has done a great job with this first episode. 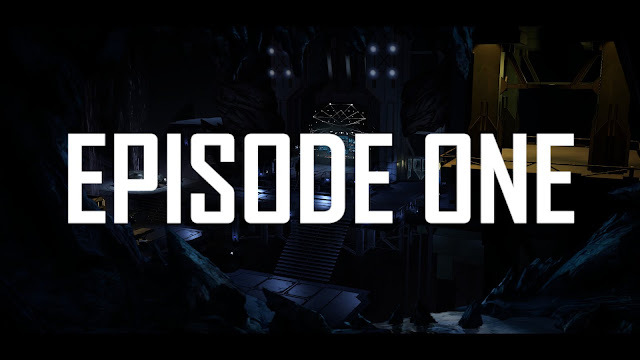 There is so much material to work from and so many characters to encounter and if the story in episode one is any indication, I may have finally found the Batman game I've wanted. I only hope that the few transgressions and cliches that slipped into in the first episode can be left behind; I would hate for them to mar an otherwise stellar story.